Dirty, stale, odor-filled air is drawn into the air purifier by a strong fan. 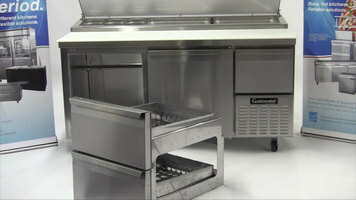 The air goes through a 3-stage cleaning and freshening process. The dual-action filter has an activated carbon pre-filter that traps household odors and larger airborne particles, such as pet hair, lint, and dust. As the air moves through the HEPA-type filter, up to 99% of the microscopic particles, 2 microns or larger, are trapped in the filter. Fresh Febreze scent is added to the filtered air before it is released back into the room. 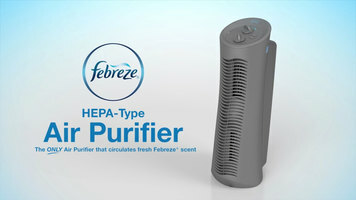 Maintaining the Febreze tower air purifier is simple. Follow the steps in this video, and learn how to set up the unit, replace the scent cartridge, and replace the filter. 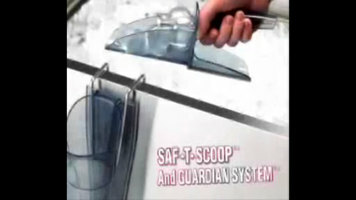 See how this San Jamar Saf-T Ice scoop and holder solve 2 of the biggest sanitation problems related to ice handling: thumb and knuckle contact with the ice and unsanitary scoop storage!